If you are a coin collector, how do you categorize yourself? as a “completist”, you prefer collecting coins from a certain historic period, nation, or you prefer collecting tokens or coins with errors. 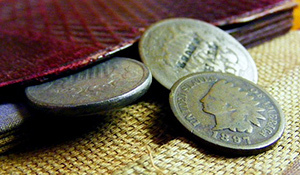 No matter what level of coin collecting specialty you choose, it is your choice. What is important is that you find it rewarding and fulfilling. So, have you found your category yet? Tags: coin collectors, collecting coins. Filed under Coin Collecting by Vic Bilson on May 1st, 2016 .